I found an item people might find of interest. I have been detecting for several years and got a permission in February for a farm outside of Gainesville, Florida. The person who owned the farm knew there had been a sharecropper home on the property, but had no idea of when it was occupied. The site was a working farm and there is a significant number of iron targets. (Barbed wire, tin, nuts and bolts) I use a smaller 5 X 8 coil to help separate some of the iron targets. 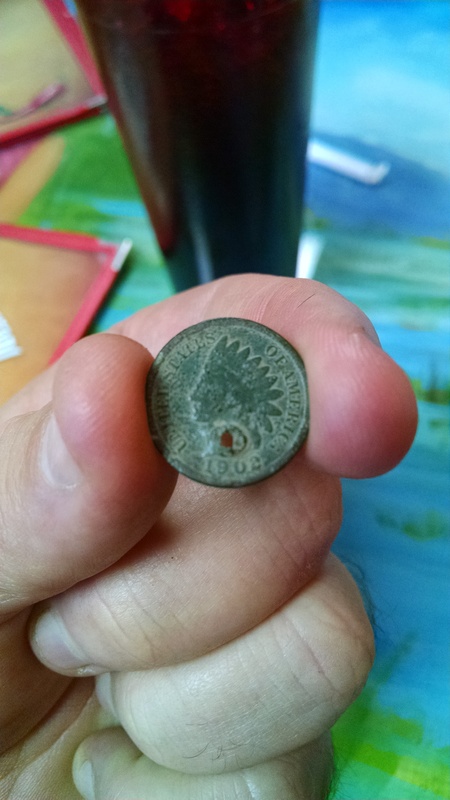 The first item of interest I found on the property was a 1902 Indian Head penny. (It rang up as a 70 on my AT Pro) It had been punched with a square nail probably for a string. . It is my understanding that in 1902, clothing was still commonly handmade, especially on a poor sharecropper’s farm. Pockets are a relatively “new” feature on clothing. The next item I found surprised me. It was a small target and rang as a 81 on the readout. 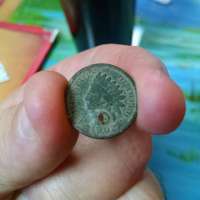 I was thinking a dime or other high conducting metal but when it came out of the plug it turned out to be a lady’s wedding ring. Once I had cleaned the ring, it clearly has an 18k stamped on the inside and at one time it had been repaired by a jeweler. The issue is that it is not 18k. 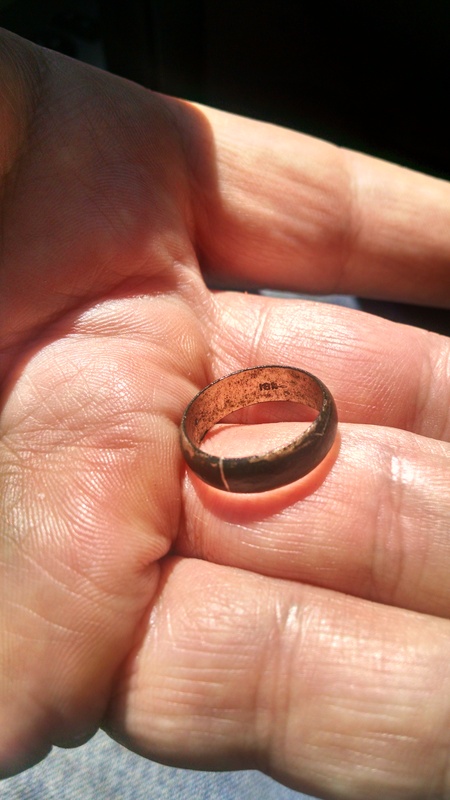 The ring is obviously gold plated and most of the plate has worn off over the years. If only the ring could talk, I would love to know its story. 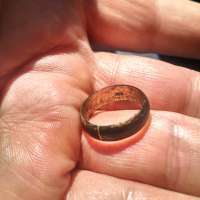 Did the farmer give his wife a ring stamped 18 k hoping she wouldn’t find out it was just gold plate or was it more likely that an unscrupulous jeweler back in the day was selling gold plate as solid gold to a poor sharecropper who likely would not have found out until long after the transaction? When the ring broke and the real jeweler repaired it, did he tell her its true composition? The discovery only led to more questions but that is one of the cool parts of the hobby.